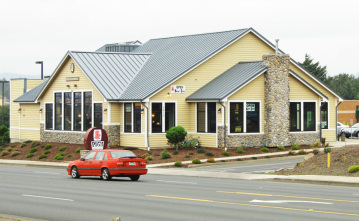 Breakfast & Lunch Available in Cannon Beach, Lincoln City & Newport. Breakfast, Lunch & Dinner Available in Astoria and Seaside. Our Mighty Columbia River... Experience walking the docks, watching the seals, visiting many historical sites including the famous Astor Column or the world-class Maritime Museum, or shopping in downtown Astoria. 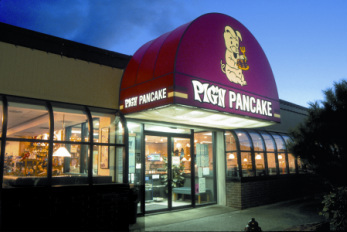 Established in 1967, the Pig ‘N Pancake offers 35 varieties of breakfast (including homemade pancakes), we also offer a complete lunch and dinner menu that is unbeatable, specializing in delicious soups, chowder, steaks, seafood, pasta dishes and incredible deserts. Enjoy family dining at it's best. 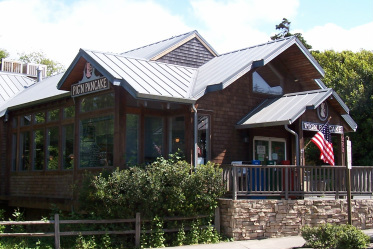 Banquet facilities and catering also available. Come let us serve you! Fun at the beach for everyone! Experience walking on the beach, watching surfers at the cove, strolling the promenade, riding surreys through town or browsing the many fine shops in Seaside. 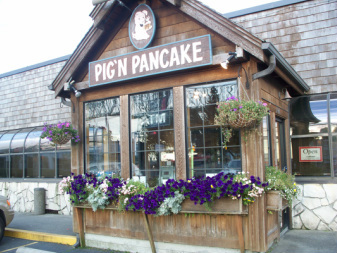 Enjoy family dining at it's best at the Pig ‘N Pancake, located in the heart of Seaside on Broadway. 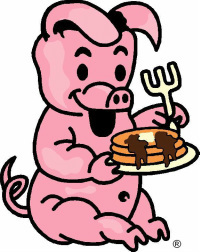 Established in 1961, the Pig ‘N Pancake offers 35 varieties of breakfast (including homemade pancakes) served anytime! Or try our delicious soups, chowder, steaks, seafood, pasta dishes and incredible deserts. 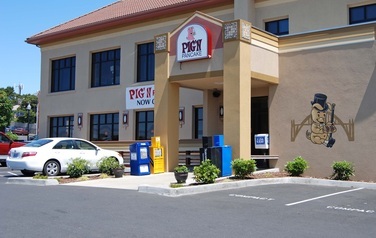 Banquet facilities and catering also available. We're waiting to serve you!